The next meeting of the Perth Cichlid Society is on Tuesday, June 7th, 2016. Quiz Night & Movie Night. 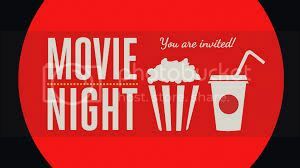 This month's topics are Quiz Night & Movie Night. We will be splitting the June meeting into 2 halves. 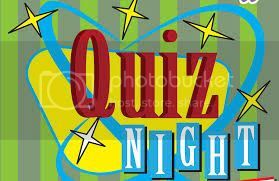 First half will be a multi-choice quiz night with our Quiz Master - Mattia. He'll have easy questions and harder conundrums for you to answer with prizes at stake. 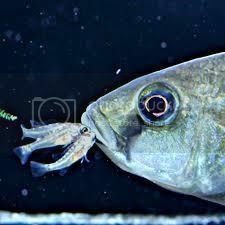 Go single or pair up and win some great prizes for your aquarium and test your fishy know-how. there will be plenty of winners and a great way to test your knowledge and learn some new facts about your favourite fish and hobby. The second half will be a cichlid movie night. We will have some cichlid documentaries for you to watch, learn and enjoy. Grab a tea or coffee from the kitchen. Dim the lights, kick back and enjoy a wonderful journey to the Rift Lakes. Don't forget the popcorn! ***** Announcing our new fish focus on cichlid species. Each meeting we will have a Fish of the Month that you can bid on and win at that meeting! Proceeds will go to Stuart Grant Fund for cichlid preservation. This meetings Fish of the Month is - Hemitilapia Oxyrhynchus "Giant Hap". We will be auctioning a lot that you can take home of this fabulous cichlid. 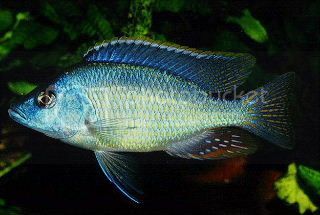 Auction lot will be 3 x Hemitilapia Oxyrhynchus "Giant Hap" (5cm). 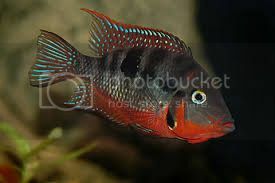 Please bid and help cichlid preservation and help keep these wonderful species viable in Perth. ***** Also new to PCS monthly meetings we will have a short talk on fish husbandry and breeding standards each meeting with a target species. 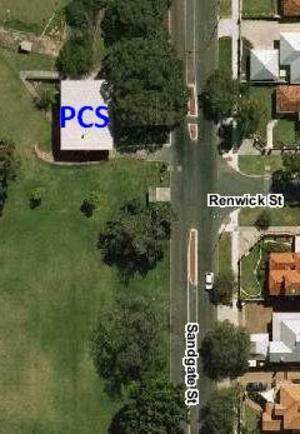 What to look for when breeding or buying cichlids and what to get rid of to preserve high cichlid standards in Perth. An update on the clubs progress with Stuart Grant Fund for Cichlid Preservation. Your donations and involvement is helping this great cause preserve the fish in our hobby and the wonderful rift lakes. May 2016 Photo Comp winners will be announced and prizes handed out for our lucky winners from our PCS Sponsors - Aqua-Pics & Pet Magic. Grab some raffle tickets for our Sponsor prize table full of awesome aquarium hobby items. Loads of prizes to win!! Don't forget 20% of raffle goes towards the Cichlid Preservation Fund. Why not enter our May PCS Showtable competition. Bring a cichlid or catfish down to the meeting and you could win cash vouchers to spend at our local sponsor stores from Pet Magic. **Small tanks are available at the venue if you PM organiser 'Rovik' on our forums at least a day before you come down. Feel free to bring you own tank and air, but no other items are permitted in tank for judging. EVERY ENTRY WINS A VOUCHER! In the kitchen we will have hot soup and bread, great for this colder weather. We will also have tea, coffee and plenty of drinks available for you. Come grab a serve! Don't forget 20% of kitchen purchases goes towards the Cichlid Preservation Fund. Some cool PCS merchandise items up for sale! Grab a stubbie holder, bottle opener, sticker or pen to support your club. All are welcome. Bring your friends. Hope to see you there Tuesday, June 7th. Yes Gaint Hap.. it's new.. always you Jason you nazy. For those that offered up some ideas to make meetings more engaging and put more focus on cichlids, the committee is going to try a couple of these things this meeting - quiz night and fish of the month. If they work well then we'll do them more often but we need you guys to show up, participate and then feedback as there's a fair bit of work involved and we don't want to be doing these things if our efforts are better spent elsewhere. 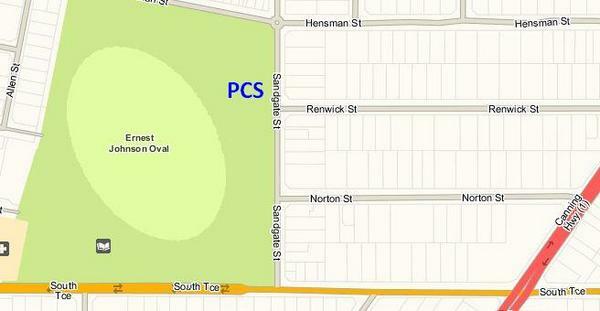 If you are yet to come to a PCS meeting then this is a great meeting to make your first. Make yourself known as we'd like to make you feel welcome and typically don't get to be very good hosts at the auctions because we're running around like blue-arsed flies. There will also be a special announcement that you'll have to show up to hear or trust in the grapevine to inform you afterwards. just double checking the meeting is on tonight? Yes it is. See you there. Tank you for this evenings meeting. It was exceptionally well run and fun to be there. I didn't need dinner however was kept constantly topped up with green tea and great presentations. Huge thanks and congratulations to the committee crew for trying something different and a huge thanks to all the sponsors that donated all the loot for the prize bags. As always the raffle table had some decent offerings too. Tired as all heck today but I can't think of a good solution as the second half of the night was a good as the first. Really enjoyed the night, quiz was fun and not too hard, even Valentina and Fischie got 13/30! I had never seen Juwel of the Rift .... Man that was amazing!! Some of that footage is unbelievable, even just taping 10 seconds of a petrochromis scraping algae is a great goal, they're always super shy in the wild. Btw, it was filmed at Mahale National Park in Tanzania, that's where you need to go if you want to see all that biodiversity ! The quiz could benefit in having questions about the aquarium husbandry, fish diseases and water quality. 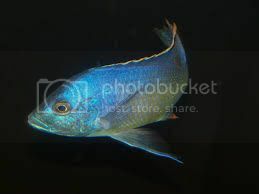 A question about plants, shrimps or other fish. So thank you PCS for the fun night and finding a new and awesome place for the PCS meetings so quickly. If you ever get the African tanks let me know how you did it I certainly found them all pretty tough going on the questions - thank heavens for multiple choice. Fun though. Edited by Delapool, 08 June 2016 - 12:13 PM. Thanks everyone for coming along. It was one of the better turnouts we've had for a while at a regular meeting and good to see some new faces too. Well done to Sheridan for bidding strong on the fish of the month and to Mac for the donation. All proceeds going to Stuart Grant fund. If you ever get the African tanks let me know how you did it :)I certainly found them all pretty tough going on the questions - thank heavens for multiple choice. Fun though. I am planning to redo my shrimp rack, set up the second one and get another rack. Squeeze in a south American biotope with wild altums and discus. A big marine and small with seahorses (for the Mrs). And then a tropheus tank. I will keep you updated. Edited by Bostave, 08 June 2016 - 05:33 PM. I'd love to do a discus tank. I've got that on the list for next at some stage. Was a good night. Thanks to all the regular folks and the new faces for coming along. Thanks to Eileen for the soup, just right for the colder weather. Thanks to those who helped out in the kitchen. I was surprised to see so many correct answers on the answer sheets. Well done guys! 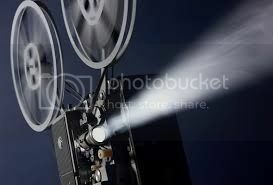 I hope everyone also learned something as well from Quiz, movie, and the short presentations given. I will say thanks to Brett for being quiz master, top job. Sajica has been awarded the forum title Quiz Meister 2016 for his efforts. Well done Chris! I should have two shrimp rack running by October. I have six tanks which drilled and sitting in the spare room. The third one is an iffy as there would be only two split tanks on that rack. The wild south American will be a atleast five feet by three feet by three feet. So I might have to wait for it for a while. The marine can wait until I buy a house so it could be design in the planning. Also waiting to get an ada filter so I can start the ada tank which I won at the PCS raffle. It will be cryptocoryne tank with blue velvet shrimps. Hopefully the Mrs can look after the kid after we have him so I can concentrate on my fish projects. She is still mocking me for getting the last place in the quiz. Ameya - it sounds like you won't have much time for your kid, hey....so many projects. Nice to see you have your priorities right...lol. A member suitably inspired to go to greater heights following a fun night and a great movie. Sue, look at the bright side the kid would already have tanks and fish ready to enjoy by the time he or she is at the age to understand stuff. Even my dogs stare at me when I spend time in front of the tanks, even after playing soccer with them.